Join Asia’s largest gathering for Qualitative Researchers! 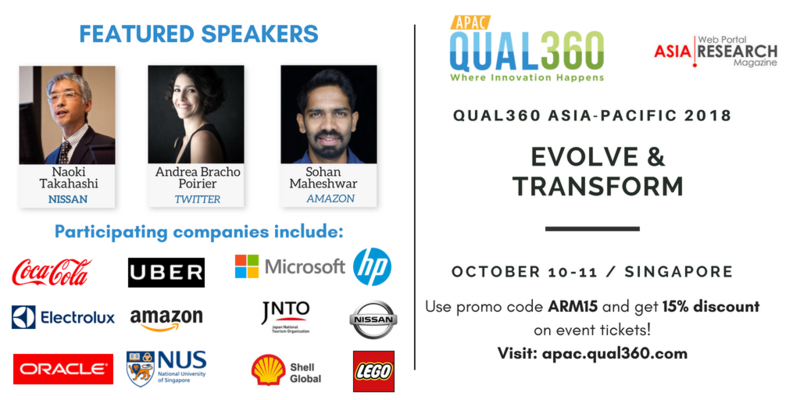 Qualitative360 APAC 2018 will be held on October 10-11 in the beautiful and vibrant city of Singapore. Experience the exciting mix of client case studies, interactive workshops, new methodologies and the latest in research technologies. The conference agenda is packed with client case studies from Lego, Twitter, Kellog, Intel, Mondelez, P&G, BBC, Ericsson, L’Oreal, IFF, Citi, Pizza Hut, Givaudan, Facebook and many more.